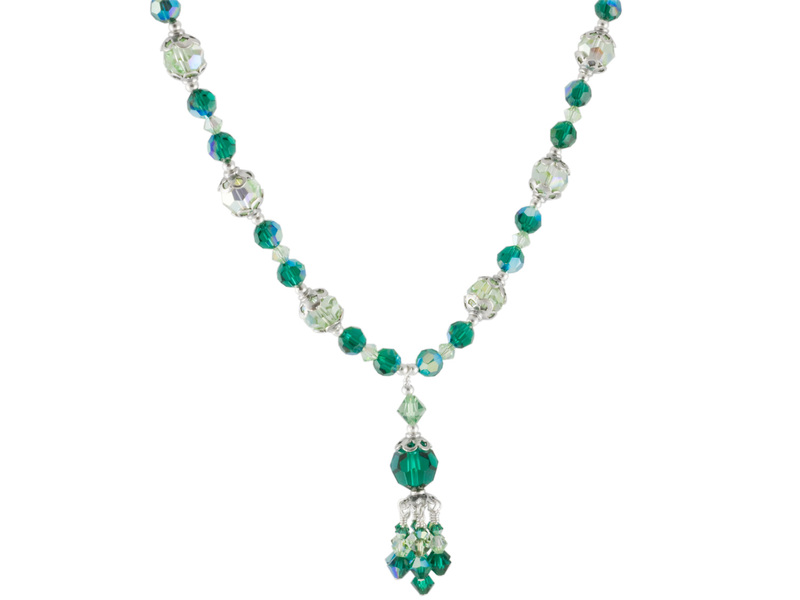 This necklace was originally made with 5000 10mm rounds in Emerald AB which was discontinued by Swarovski. We suggest substituting 5000 10mm rounds in Emerald (Item 5000-10-EM). Please note that the 6mm emerald AB round crystals have been discontinued. We have replaced them in our project list with 6mm round emerald crystals.